You mean H-A-P-P-Y–T-H-A-N-K-S-GIVING, oh yes Happy Thanksgiving. These stories are my favorite kind. It was such a brilliant episode. Thanks for sharing it. This piece is so fantastic. I especially love the point about the placement of “As God is my witness…”. Having it hang so far out like that is perfect placement. I watch poor quality rips of someone’s VHS tapes and they are vastly superior to the bowdlerized DVDs that are sadly missing the great music (though I would like that audio commentary, so, so it goes). Incredible stuff. I shared this link in all of my web-groups. As far as I’m concerned, with “WKRP” and “Frank’s Place” in his creative portfolio, Hugh Wilson is one of the great creators in the history of television. And everyone involved with those shows, especially Tim Reid who was also a creative force on “Frank’s Place,” was part of something magical. Fantastic article on a legendary series. I recently found your site and ut’s quickly become of of my must-read stops; keep up the great work! This article was a great read….and it’s good to know the Atlanta station incident it was based around. I had read in a different book “The Rise And Fall of FM Radio” by Richard Neer….that it was based off of a KSAN promotion letting doves fly from the roof of the building, but the DJs blew pot smoke into the cages, and the stoned doves were thrown off the roof and splattered on the sidewalk. This is a wonderful piece of reporting. I remember watching that episode with my family when it first aired and the feeling we all shared that we had just seen something classic. The only other show that produced the same feeling was Mary Tyler Moore’s “Chuckles the Clown” episode. I laugh every time I think of this episode … and I think of it often. An old friend (from CompuServe – I told you she was old) tells the story of how this episode saved her life. She was in the hospital, suffering from SEVERE post-partum depression, having just given birth to her second child with Down Syndrome. She was at the end of her rope. This episode came on, in its first run, and she sat there in the bed, and started to feel better. When Gordon Jump came in and said the classic line, her depression was burned away, and she realized she was going to be okay. Some time later, she was interviewed for a newspaper article about raising special kids, and she told the story. Some weeks later, a woman called, asked if this was the woman from the paper. She said it was, and the lady said “My husband would like to talk to you”. He had gotten a copy of the article (I assume through a clipping service), and was so touched that he could have such an effect on someone, sought out my friends number. They had a lovely and somewhat emotional chat, and both hung up smiling. That’s a great story. Thanks for sharing it. That is a very touching and awesome story…thank you! And the article was great as well. I always love behind the scenes stories, so one about one of my favorite shows is always fun. Everyone set up the story so well, and I found myself laughing to myself about the lines and scenes. 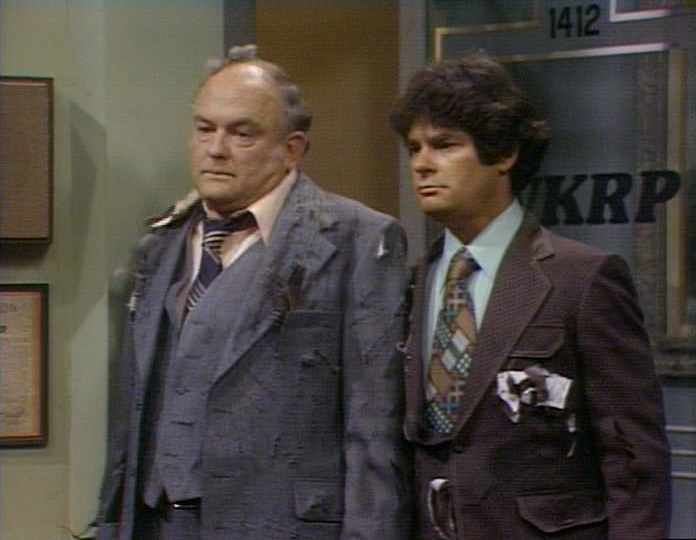 My Mom would never watch WKRP when it was on air. One day I was visiting her after she had major surgery. She was 71 at the time and had surgery for uterine cancer. 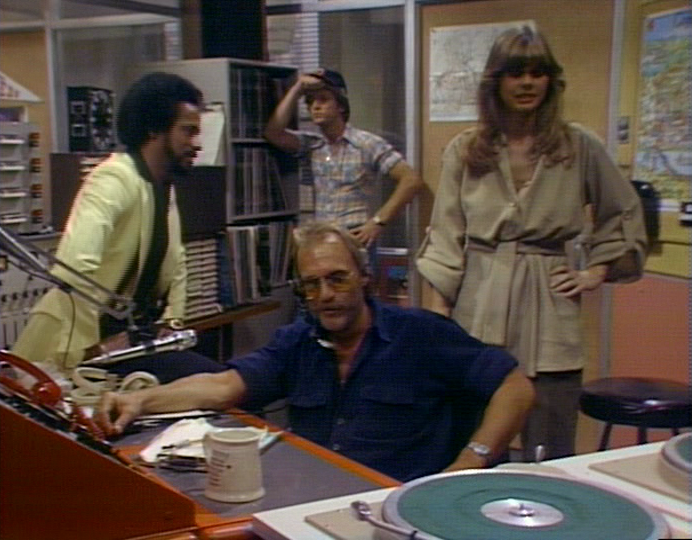 Well WKRP, it was imn sindication by this time, came on and she couldn’t find the channel changer she was stuck watching a show she never watched because she thought it was about Rock n Roll. Wellthe episode she got was “Turkey’s Away.” Dear god I thought she was going to return to the hospitalshe was laughing so hard from popping her surgical wound. I kept trying to find the channel changer and my post op mother was rolling and crying with laughter. Long story short she was hooked and watched every day until she finally passed from cancer at 74. So thank you for giving her joy for thelast 3 years of her life. How could an adult be so stupid as to think that turkeys bread for food in cramped quarters and not allowed to develop their flying ability could fly? It was a sitcom dumbass. I had just started in college radio when this show hit the air, and it became a ritual to have most of station staff jam into the bullpen next to the air studio to watch the show on (what was if I recall correctly) Monday nights. I love hearing the story about Hugh Wilson ignoring the network boneheads with their ‘notes’ about material going over the audience’s head. I remember seeing that scene where Fever tags the Weisenheidel Beer commercial with the “look for the smiling face of Archduke Ferdinand on every bottle,” and thinking that it a brilliantly funny line in its own right. Later I retroactively really got the joke when learning about the start of World War I, and it became even funnier. The reason I remember that historical tidbit is because of the show and its material. So screw the network. Aside from “Turkeys Away!”, my favorite episode was the one where a Soviet Agricultural expert (wonderfully played by Michael Pataki; best known as the loudmouthed Klingon, “Korax”, who starts the bar fight in the “Star Trek” episode “The Trouble with Tribbles”) tries to defect and falls in love with Baily Quarters as a result. 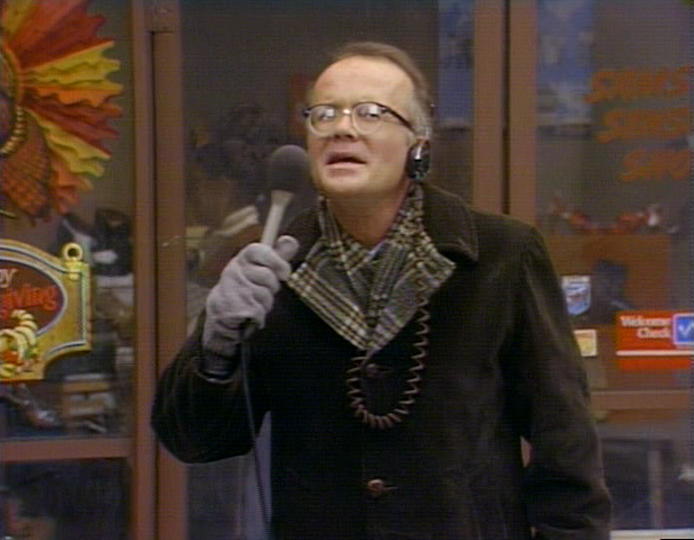 I was in Cincinnati visiting my girlfriend last month, and ironically the subject of WKRP came up. Long story short, I was very sad leaving Cincy and missing my girl, and- I forgot how it happened- stumbled across this iconic episode called “Turkeys Away”, and immediately my depression went away. I laughed from start to finish, I shared it on my girlfriend’s Facebook page, and she had a ball! I’m watching it again right now on YouTube while on break. And even though I’m too young to remember this episode, it has become one of my top favourites. I might just buy the entire first season on DVD.